In the fast-paced world we live in and with all the demands of family, work, and relationships, it can be hard to stay on top of our complete wellness. This is especially true for women who often place the needs of others above their own. 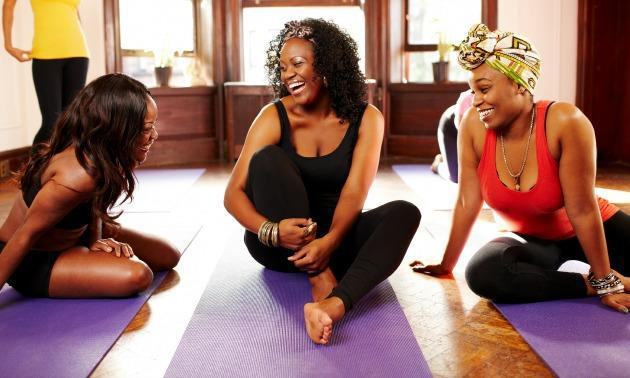 Sister Spokesman and Wellife 360, a holistic health organization, want to encourage women to develop healthier habits with the Get Fit Challenge. As founder of Wellife, I am excited to partner on this initiative aimed at helping Black women improve their self-care and quality of life through an eight-week holistic weight loss regimen. The challenge incorporates simple lifestyle changes and techniques that can be implemented daily and modified to meet participants’ needs. That includes making it a little easier for women to live healthier without all the extra stress of cutting carbs. Starting Sat., Feb. 2 at Sister Spokesman’s “Love Thyself” event, the weight loss challenge kicks off with weigh-ins, a smoothie tasting, and fitness demos. Centered around a self-love and self-care panel discussion with experts Dr. Joi Lewis, Brandon Jones, and Trenella Ricks — the event will serve as the perfect environment for the challenge. It’s all about sisterhood and finding a group of women to hold us accountable as we work toward positive change is an amazing thing. So, to provide a comprehensive experience, Sister Spokesman is also providing participants a healthy living life coach — moi! (this includes mental health behavioral coaching) fitness ideas, healthy eating tips and techniques, recipes, and a supportive online community. If you are interested, the first step is to come to “Love Thyself” to get your initial weigh-in and learn more. The Challenge winner will get a $50 gift certificate and access to a free four-week healthy living program to help continue the fitness journey. · Eat one cup of green vegetables daily. Women who are ready to commit or recommit to living healthier through daily activities utilizing food, fitness, and frame of mind, are encouraged to join us. Feel free to get family and friends involved, too! Sister Spokesman’s “Love Thyself” takes place Sat., Feb. 2 from 12-4 pm at Thor Companies, 1256 Penn Ave., N Suite #4000, Minneapolis. Visit @SisterSpokesman on Facebook for more information. Brandi Phillips is founder of Wellife 360 and will be facilitating the Get Fit Challenge. Send your inquiries to her at bphillips@spokesman-recorder.com. For more info on Wellife 360, go to www.wellife360.org or call 612-314-5214.